Our most affordable unit to date! 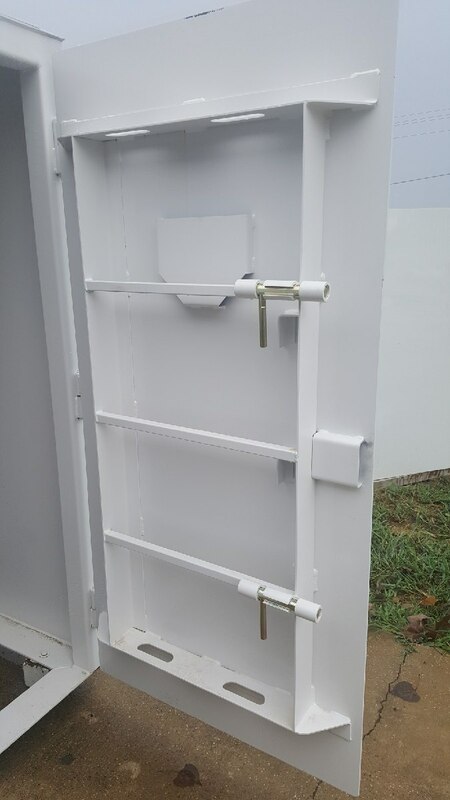 With a built in door jack, the Houdini KeepSafe Shelter's outward swinging door can push the weight equivalent of two one-ton trucks out of the way. There is also a ladder built in to the door that goes up to an escape door allowing exit through the top of the shelter.